Dr Richard Bandlers’ deep-trance expedition NLP CD into the realm of creativity via nlp, sounds, music, and vocalizations. 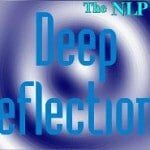 This composition uses both deep trance and NLP to instill the creative strategy identified by Huxley as deep reflection. Multi-induction and waveform vector technologies are employed to maximize trance depth. CD format.